Strapped for Cash and Sitting on Property? Sometimes a real estate purchase you made years ago can be your financial saving grace today. Other times, it’s the real estate itself that’s the source of your fiscal strain. Whether your home is an unwelcome burden or a potential goldmine, Vokshori Groups innovative real estate experts work side-by-side with our accountants and tax professionals to find the perfect solution to your real estate and cash troubles and implement it with precision, ingenuity and good, old fashioned common sense. If you’re faced with the possibility of bankruptcy, foreclosure, or other financial hardship, but your home has equity or prices are high in your area, now may truly be the best time ever to sell your home. Current selling conditions are the best they’ve been in nearly a decade and our real estate professionals can help you take advantage of this market! 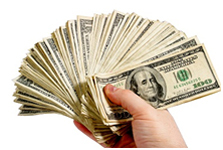 The team at Vokshori Law will evaluate your finances and property value to determine if a cash out is right for you. 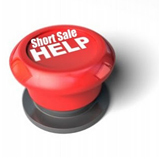 short sale is a viable option for homeowners who meet certain qualifying conditions. Our real estate Attorneys can help you decide if short sale would be a better option than bankruptcy or foreclosure and can help buyers understand the pitfalls and benefits of purchasing short sale properties. If you’re looking for financial relief, it never hurts to double-check your taxes! Property taxes aren’t always fairly adjusted, especially when your property value decreases. value, you may be entitled to a reduction in your property taxes – but only if you know how to prove your claims! Are you ready to put your real estate work for you? Tell us what your goals are. At Vokshori Law Group, we’ve made it our mission to use our expertise to relieve struggling homeowners from burdensome properties, and help them get back on the road to financial recovery.